The NAMCP Medical Directors Institute has simultaneously released the NAMCP Medical Technologies Dossier Template and the NAMCP Medical Diagnostics Dossier Template, which provide medical directors and manufacturers with a dossier template formats for either medical devices or diagnostics that accounts for evidence-based development approaches and unique aspects of each of these technology types (instead of having to attempt to follow drug-based formats that are often not ideal for these types of health technologies). NAMCP developed this format at the request of its membership because a consistent format for presenting information about medical devices and diagnostics hasn't been made available to the managed care community. Please click here to download the templates on our website. A new study lends additional evidence to the likelihood that genes associated with high levels of the so-called good cholesterol appear to contribute to exceptionally long life expectancy and resistance to age-related disease. Sofiya Milman , an assistant professor of medicine in geriatrics and endocrinology at Albert Einstein College of Medicine in New York, said her team’s findings could open the way to finding drugs that target the gene and mimic its functions, thereby extending life. There are roughly 20,000 genes and thousands of other regulatory "elements" stored within the 3 billion letters of the human genome. Genes encode information that is used to create proteins, while other genomic elements help regulate the activation of genes, among other tasks. Somehow all of this coded information within our DNA needs to be read by complex molecular machinery and transcribed into messages that can be used by our cells. After many generations, rats bred for their bad attitude behave differently from those selected for a calm demeanor around humans. Research published in the journal Genetics identifies gene regions that contribute to differences between nasty and nice rats in their behavior and the activity of genes in the brain. These results may provide important clues as to which genes make tame animals like dogs behave so differently from their wild ancestors. Diaceutics released the four year update to its Pharma Readiness for Personalized Medicine Report, which examines how prepared leading pharmaceutical companies are for the emerging personalized medicine business model. The report reveals that leading pharmaceutical companies fall into two clear groups: those starting to build the internal and external capability for a personalized medicine predominant future, and those still on a learning curve. Google’s push into the genome storage and research market seems like a natural move to make personalized medicine a mainstream treatment option. And the price for storing genomic data has plummeted to a consumer friendly $25 per month. But comments in response to a recent article from MIT Technology Review illustrate the mixed feelings we have about the potential benefits and potential for abuse these businesses pose. For more than 30 years, stem cells have been the great hope of medical science. Given their remarkable ability to turn into any type of cell in the body, researchers have theorized that they could be used to treat and perhaps even cure all sorts of diseases and conditions from spinal cord injury to baldness. “Berlin patient” Timothy Brown was cured of HIV after he received stem cells from a patient naturally immune to the disease. His story inspired two companies to try and recreate that natural immunity in HIV patients using stem cells and two gene-editing techniques. The approach has proven so popular that long before conclusive clinical trial results are due in, a third team has entered the fray: Harvard University. Wearable sales are up 40 percent in the third quarter of 2014 — with global shipments totaling 12.7 million units — over the same quarter in 2013, according to new research from FutureSource Consulting. “The wearables market is definitely one to watch, with our forecasts predicting sales of 52 million units across all wearable categories this year, up 32 percent from 2013," Oliver Rowntree, market analyst at FutureSource, said in a news release statement. A bill that would minimize federal regulation of health information technology for safety may be added to a bipartisan package of House legislation intended to spur medical innovation. A modified version of the SOFTWARE Act is under consideration for the 21st Century Cures legislative package from the House Energy & Commerce Committee, a committee source confirmed. Ranbaxy Laboratories Inc. fell the most in almost two months in Mumbai trading after U.S. regulators withdrew their tentative approval for its generic versions of the heartburn tablet Nexium and antiviral medicine Valcyte. Ranbaxy dropped as much as 5.5 percent, the largest intraday decline since Sept. 11, and traded 4 percent lower at 629 rupees as of 9:19 a.m. Sun Pharmaceutical Industries Ltd., which this year agreed to buy Ranbaxy, lost as much as 4.1 percent. In 2009, when Congress gave the Food and Drug Administration the authority to regulate the marketing of tobacco products, it gave the agency a great opportunity to expand the options for smokers trying to quit. How? By being able to claim certain products are safer than cigarettes. FDA officials speaking at a tropical medicine conference said experimental Ebola drugs should be tested in randomized controlled trials — a "gold standard" form of drug assessment that involves giving some ill patients a sham treatment, or placebo. Addressing reporters at a session of the American Society of Tropical Medicine and Hygiene in New Orleans, U.S. Food and Drug Administration officials said randomized controlled trials were the only way to truly determine whether any of a number of experimental Ebola treatments were effective. What's a practice to do about an ACO? 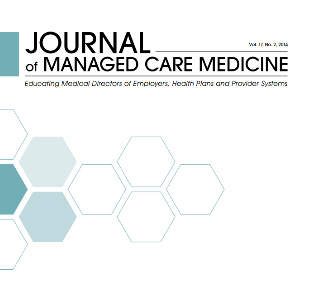 "Accountable care organizations have been described as unicorns because none have been seen but everyone knows how to describe one," said Owen Dahl, an independent consultant for the Medical Group Management Association. So, because we haven't seen this animal, does it mean that you can put off thinking about ACOs? Of course not — understanding and awareness of market changes just makes good business sense. The Office of Inspector General's list of work projects for 2015 includes investigations based on risk assessments and reports indicating areas that "have been identified as significant management and performance challenges." The impact of Medicare's two-midnight rule on both hospital billing practices and on beneficiaries, is among 26 new probe targets in the Office of Inspector General's 2015 Work Plan. Should you roll the dice on a high-deductible health plan? A growing number of Americans are paying lower health insurance premiums in exchange for high deductibles, taking a gamble that saving money now won’t put them in a tough financial situation if they’re hit with high medical bills. As we enter open enrollment season, it’s important to at least consider these low-premium plans to determine if the increasingly popular risk is right for you. The Obama administration said it expects up to 9.9 million people to have coverage through the Affordable Care Act’s insurance exchanges in 2015, millions fewer than outside experts predicted. The exchanges, which reopen for the law’s second year of insurance enrollment, previously were expected to enroll 13 million people for 2015, according to a projection by the Congressional Budget Office.